So this week has been pretty busy, and on Wednesday I presented my dissertation to two tutors and some fellow students. Slightly nerve-wracking, to say the least! I am more confident than I used to be at speaking in public, but I still find my body/voice betrays me a bit. Shaky voice aside, it went okay, and it’s over now! Being the makeup-lover that I am, I planned my makeup in advance for things that I knew would make me feel a bit more confident. 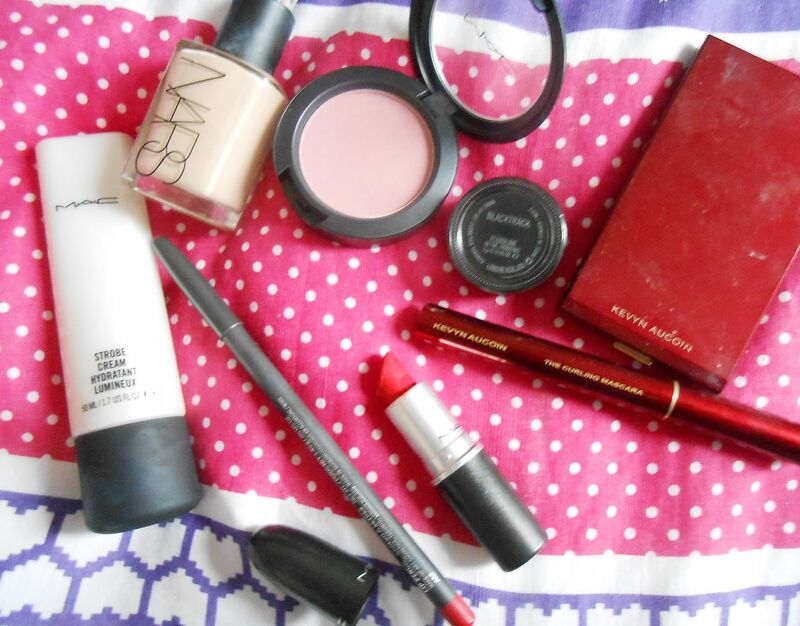 For base I used old favourites – MAC fortified skin enhancer in neutralise and NARS Sheer glow in Mont blanc (too pink for me at the moment? ), and then added some MAC strobe cream on the high points of my face. I have wanted this for literally years, and finally got it recently. Will report back soon. I sculpted with Kevyn Aucoin, highlighted with MAC Soft & gentle and blushed with MAC Dame. Nothing groundbreaking here, I’m afraid. For eyes I used MAC Woodwinked, my ol’ favourite. I also experimented with some black gel eyeliner, because I think a gentle cat eye flick can make you look a bit fiercer. Standard Stila kitten in the inner corner. I used Kevyn Aucoin’s curling mascara, as I hadn’t in a while and I just felt like it… I like it, it ‘tubes’ your lashes. 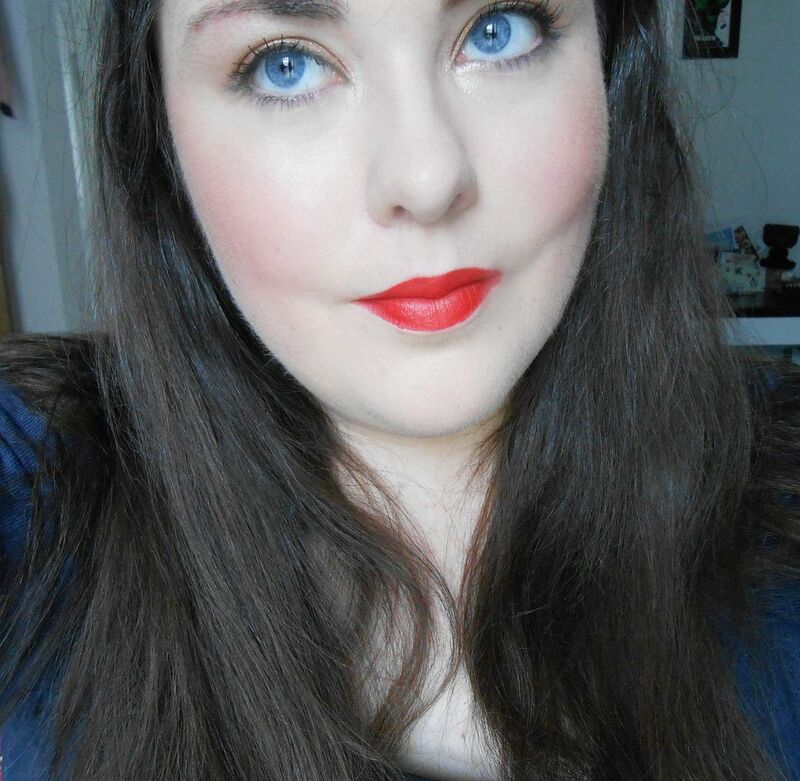 For lips, and this will not surprise anyone, I went for MAC Lady Danger. Duh duh duh. I just instantly feel a bit sexier and a souped-up version of myself when I slick this on. The lovely Ella (check her gorgeous blog out here!) said I should put on some red lipstick, and I already had. She knows what’s happening. & that’s pretty much it! Do you have any makeup styles/products that make you feel more ready to take on the world?